If it’s one thing nearly all business owners seem to hate, it’s paperwork. So, then, why are so many still doing it? The fact is, as your business grows and you take on more employees, you are going to have to deal with increasingly cumbersome administrative tasks. And if you’re not careful, you can find yourself buried under an avalanche of paperwork that could impede your success and challenge your sanity. The solution, for those who still manage their HR using spreadsheets, file cabinets and tree bark is clear: technology. While some business owners think transferring their HR to a technology platform is too time-consuming, too difficult or too expensive, the fact is that if you use the right technology, you can save yourself time and money, while simplifying your administrative burden and avoiding costly mistakes. Here are five major administrative problems small and midsize business (SMB) owners struggle with and some of the ways that technology can help resolve them. With the amount of information you’re required to collect and keep on each employee for HR purposes, you may feel like you’re swimming in forms. From onboarding and enrolling in benefits to approving time off and running payroll, the number of tasks requiring your attention can be a huge time drain. A little organization and a single platform to store all your information could go a long way to helping you finish tasks faster and more accurately. Technology solution: A single platform that has a streamlined and user-friendly interface for less clutter and ease of finding information. A good platform compiles all your HR needs—including payroll, benefits, onboarding and time off tracking into categories so that you and your employees can easily navigate to all of it from a single site. With critical HR information organized in one spot and the ability to customize your platform for your business, you’ll be more efficient and effective in finding the information you need, when you need it. It’s hard to stay focused on managing and growing your core business when you’re spending too much time working on complicated tasks. Now, you might already be using various technology solutions to help you complete HR duties. Maybe you have several individual technology platforms, including one for payroll processing, one for scheduling time-off, one for managing benefits and yet another for overseeing retirement accounts. While this is a good start, it is far from ideal in becoming streamlined and efficient, or scaling for your future needs. Technology solution: An intuitive technology solution with a self-service model. This reduces the time you spend on administrative tasks by allowing your employees to take charge of their own personal HR data. Make sure your HR technology integrates with programs that you already use (such as Quickbooks) to eliminate redundant work. You’re busy. You don’t have time to comb through excessive amounts of paper, search for difficult-to-find information or deal with unreliable technology. You need information available anytime, anywhere and you need it quickly. Technology solution: An HR platform that includes mobile capabilities. You’ll be able to access your information in real time either from your phone or tablet and so will your employees. Everyone can update information themselves, reducing complicated tasks—like submitting expenses or reports—to a few taps on your mobile device. It won’t come as a shock but budget is a huge concern for most SMBs. HR technology should save you money in the long-run by reducing risky compliance issues, increasing efficiency and cutting down on costly mistakes. Searching for cost-efficient HR technology solutions can be difficult and discouraging, especially when you might have to work with multiple vendors. Technology solution: A bundled HR solution that includes a technology offering. By minimizing your HR product options to a single provider and looking closely at prices and the technology that they offer their clients, you can find the best and most straightforward choice for your business without breaking your budget. Ensuring that your business is compliant with state and federal regulations can seem overwhelming. It’s important to stay ahead of complex and ever-changing regulations. Yet few business owners are equipped to handle this without help. Technology solution: A technology offering that includes access to an HR team who is available to answer any questions you may have regarding evolving legislative topics and how they may impact your business. If you’re considering switching to a single platform to boost efficiency and save time, TriNet makes HR simpler for both managers and employees. Our recently redesigned platform is powerful and easy to use across tablets and mobile devices, so everyone can access their information when they need it. With customizable analytics, app integration and intuitive navigation, staying compliant and productive has never been so easy. 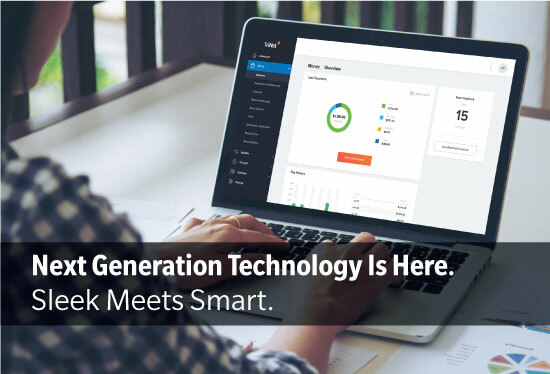 Visit TriNet’s website for additional information and a sneak peek of our next generation technology solution. Christina Jimenez is an associate product marketing manager for TriNet.